When you need reliable and quick 24/7 bail bond services, you can depend on Indiana Bail Bonds to help you. If you have a warrant for your arrest and need help getting it cleared, call our bail bond agents today. 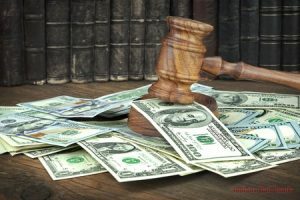 Do you require a cash bail bond to secure your release from jail? Get in touch with Indiana Bail Bonds. We are able to help clients who have been charged with a DUI and get them released from custody quickly. When you have an emergency and need an immediate release from jail, we will ensure you get out as fast as possible. When You Need 24 Hour Bail Bonds in Indiana, Call Indiana Bail Bonds Now! If you or a loved one has been charged with a crime and placed under arrest, we know it can be a difficult situation to be in. At Indiana Bail Bonds, we want nothing more than to offer our assistance to Indiana residents who need us most. We are a licensed and reputable bail bond company who is able to offer bail bond service 24 hours a day, seven days a week. When you are in a position where you need reliable 24 hour bail bonds in Avon and Indianapolis, IN, please call our bail bond agents today. For over twenty years, we have been offering our services to every county in the state of Indiana. We make it our mission to help people who are in complicated situations that need immediate help fast. We are able to do this by offering supportive and compassionate services. We are not here to judge; all we want is to help you secure your release from jail so you can live your life. When you want a bail bond agent who will go above and beyond for you, call us right away at 317-423-9300! At Indiana Bail Bonds we take pride in our ability to help clients when they need professional and reliable assistance. We understand that being arrested can be scary and posting bail can be confusing. Our bail bond agents are here to make the bail bond process less confusing and more beneficial to you. We believe that everyone deserves bail service no matter what, so we will work hard to get you released from jail quickly. From surety bail bonds to bench warrants, whenever you need a bail bond company who offers a wide range of bail services, we are the bail bondsmen to call. Not only do we offer reliable bail bond services, we can make it more convenient for you by driving to your location and posting bail there. In addition to our bail bond services, we also offer the following services. To learn more about our 24 hour bail bonds in Avon and Indianapolis, IN, give us a call at 317-423-9300, or take a look at a list of the bail bond services that we offer. For Emergency Bail Bond Services, Call Our Bail Bond Agents Now! An arrest can happen anytime and anywhere. An arrest is never convenient and can prevent you from going about your day to day life. There are some situations where you will need to be released from jail due to an emergency, which is why you need a bail bond company who can offer their assistance whenever you need help. Indiana Bail Bonds is the bail bond company to go to when you need emergency bail bond services. Because we are available 24/7, we can help you when you need us the most. No matter if it’s 3 A.M. or a holiday, our bail bond agents will be there for you, offering professional and reliable bail bond services. If you need to learn more about our emergency 24 hour bail bonds in Avon and Indianapolis, IN, just call us at 317-423-9300. If You Need Surety Bail Bonds, Our Bail Bond Company Is Able To Help You. 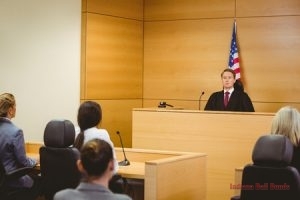 There will be some situations where your bail bond will have to be paid in surety. Depending on the charge, the bail bond may be very expensive. We believe that everyone deserves reliable bail bond services no matter what, so if you or a loved one needs surety bail bonds, the bail bond agents at Indiana Bail Bonds are ready to help you! You are able to call us anytime and we can come out to your location and pay your surety bail. We understand that coming up with a surety bail amount can be stressful; our bail bondsmen are here to make it easier for you so you can be released from jail quickly. Don’t let a surety bail bond get in your way, call us today at 317-423-9300 to get surety bail bonds in Avon and Indianapolis, IN. For 24 hour bail bonds, you can count on our bail bond company to help you. When You Need Felony Bail Bonds, Call Us Today! In the state of Indiana, felonies are classified as levels, ranging from Level 6, Level 5, Level 4, Level 3, Level 2, and Level 1. 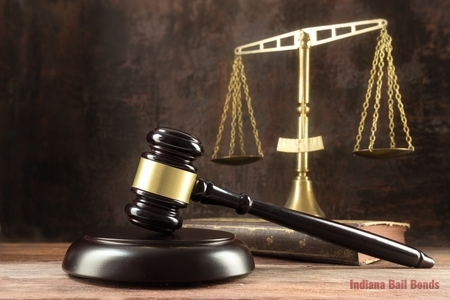 If you or someone you love has been charged with a felony crime and needs 24 hour bail bonds in Avon and Indianapolis, IN, Indiana Bail Bonds is able to help. We work with individuals regardless of the felony charge. Our services are confidential and professional, so you can feel safe and secure when you use us for your felony bail bonds service. We know that this can be quite an ordeal to go through; our bail bond agents are here to make the process smoother, answering any questions you might have and going through the felony bail bond process with you step by step. In a time like this, compassion is everything, and we promise that our kind and experienced bail bondsmen will be there to offer their assistance. Get in touch with us today by calling 317-423-9300 now. If You’ve Been Charged with a Misdemeanor and Need Bail, We Can Help! Get a quick release for a misdemeanor charge in Indiana by calling our helpful and professional staff of bail bond agents today. While a misdemeanor isn’t typically a very severe charge, it can still land you in jail. In order to get on about your daily life and back with your family, Indiana Bail Bonds offers affordable misdemeanor bail bonds. With our bail services, we might be able to help you avoid jail time altogether before the county you are in decides otherwise. We offer quick and efficient bail services that will not only secure your release as soon as possible but ensure you are back with your family in no time. When you need bail for a misdemeanor charge, call us at 317-423-9300, we offer the best 24 hour bail bonds in Avon and Indianapolis, IN. Get DUI Bail Bonds Today! 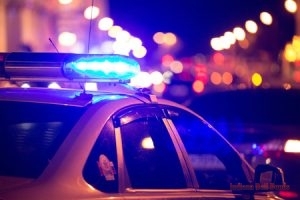 We Can Help Individuals Who Have Been Charged with DUIs with DUI Bail Bond Service. If this is your first-time offense or you have been charged with a DUI previously, call our bail bondsmen to help secure your release. 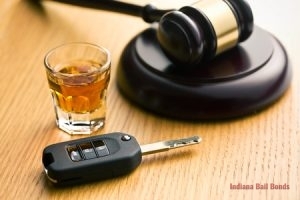 Based on how many incidents have taken place, DUI charges can range from misdemeanors to felonies. Regardless of the charge, we want to help you with a quick release from jail. This can be a very hard thing to deal with, but our bail bond agents will offer professional and supportive service no matter what. We will guide you through the whole DUI bail bonds process, addressing all of your questions and making this an easier situation to deal with. Let our bail bond company help you secure your release from jail by calling us at 317-423-9300 for DUI bail bonds. We offer 24 hours bail bonds in Avon and Indianapolis, IN, so we will be there for our clients whenever they need us. On top of our emergency, felony, and surety bail bond services, these are other quality and dependable bail bond services that we offer our clients. Arrest Warrants With our help, our bail bond agents can pay your bail and clear your warrant fast! Bench Warrants If you or someone you love has a bench warrant, we are ready to help you pay your bail and clear that warrant. Domestic Violence Bail Bonds For individuals who have been charged with domestic violence, call Indiana Bail Bonds now for domestic violence bail bonds. Drug Charge Bail Bonds No matter what type of drug charge you have been arrested for, we can help you get released with drug charge bail bonds. 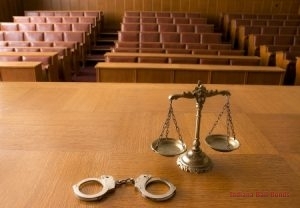 Federal Bonds For crimes that have been charged on a federal level, you can call us for our federal bail bonds service. Probation Violation Bail Getting bail bonds for probation violations aren’t impossible; if you are eligible for probation violation bail, please call us! State Bail Bonds State crimes will need state bail bonds in order to secure your release from jail; we are happy to say we can provide state bail bond service. Theft Charge Bail Whether it’s a felony or misdemeanor theft charge, our bail bondsmen can help secure your release with theft charge bail. Weapons Violation Bail Bonds If you have been charged for a weapons violation, you can call us today to get bail for weapons violation charges. Call us at 317-423-9300 to get your 24 hour bail bonds in Avon and Indianapolis, IN now! Call Our Bail Bondsmen Now for 24 Hour Bail Bonds. For 24 hour bail bonds in Avon and Indianapolis, IN, give Indiana Bail Bonds a call now! From convenient bail posting to our easy online bail services, we are the bail bond company to call when you want dependable and affordable services. Don’t hesitate to call us when you need emergency help. We will be here whenever you need us, ready to lend professional assistance anytime. Give us a call at 317-423-9300 to get quality and licensed bail bond services now!